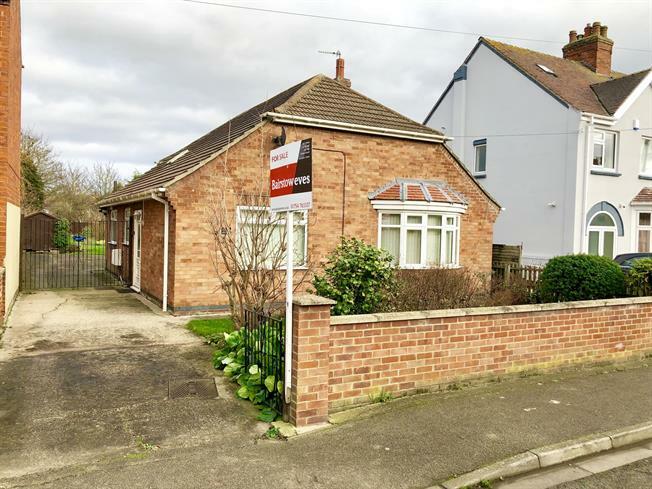 3 Bedroom Detached Bungalow For Sale in Skegness for Asking Price £220,000. Three bedroom detached family home within a superb plot and an extensive rear garden, ample parking for numerous vehicles, caravan, motor home and detached single garage. A particular feature of the property is the fantastic enclosed rear garden which is laid to lawn with a vast array of mature shrubs and trees. The accommodation comprises of: Lounge, kitchen diner with fitted appliances, pantry, master bedroom with fitted wardrobes two further bedrooms, a shower room and a large conservatory at the rear of the property over looking the garden, and there is no onward chain. A viewing is highly recommended to fully appreciate this superb family home. Double glazed door leading into the entrance hall. Radiator, carpeted flooring, access to the loft, which has a loft ladder. The loft extends along the full length of the property. Double glazed bow window facing the front overlooking the garden. Radiator and electric fire, carpeted flooring, wall lights. Double glazed windows facing the rear and side. Radiator, wall mounted gas boiler, part tiled walls, spotlights. Roll edge work surface, wall and base units, stainless steel sink with mixer tap, integrated electric double oven, integrated gas hob, space for dishwasher. Large built in cupboard. Frosted glass. Ample shelving space, plumbing for a washing machine and space for a fridge freezer. Double glazed sliding door opening onto the patio. Double glazed window surround facing the rear overlooking the garden. Radiator, tiled flooring, vaulted ceiling, feature light. Sliding double glazed door leading into the conservatory. Radiator, carpeted flooring, extensive range of fitted wardrobes. Double glazed window with frosted glass. Ladder style heated towel rail, tiled flooring, tiled walls, recessed lighting. Low level WC, double enclosure shower, pedestal sink. The property is approached via double wrought iron gates and a large driveway with ample parking for numerous vehicles, caravan and a motor home the driveway leads to the rear and also gives access to the detached garage, the front garden is laid to lawn with a variety of mature shrubs. The extensive and enclosed rear garden is a particular feature of this property with a vast array of mature shrubs and trees, patio area and a detached garage 17' x 9'4" with an up and over door and light and power connected.